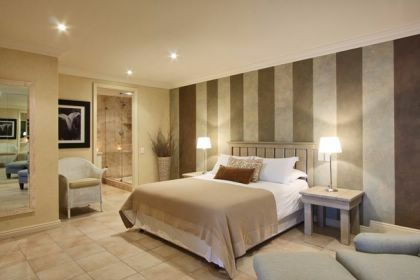 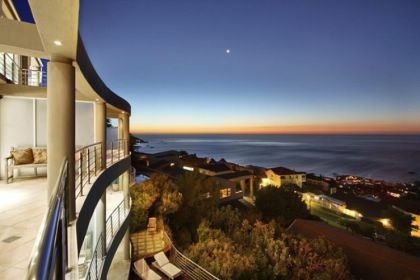 Casa Silva is situated in the top of Camps Bay, one of the most beautiful places in Cape Town, with some of the best sea and mountain views in the world. 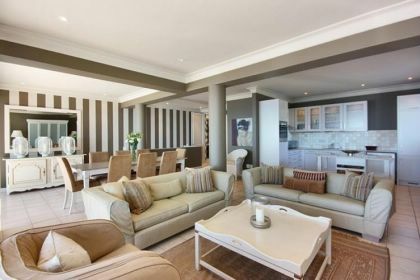 Casa Silva is a magnificent 9 bedroom villa perfect for production companies or large families. 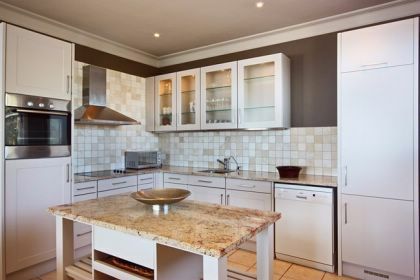 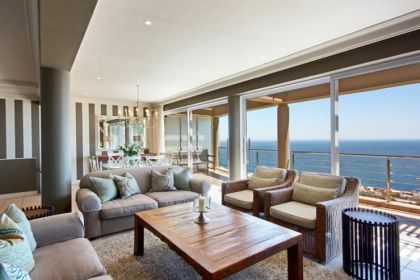 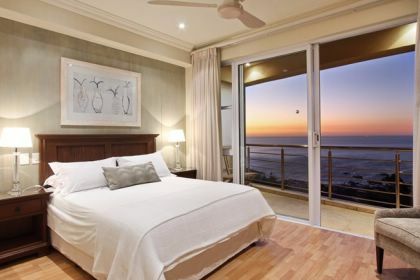 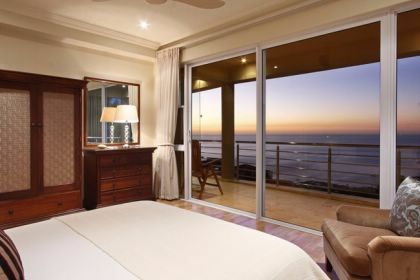 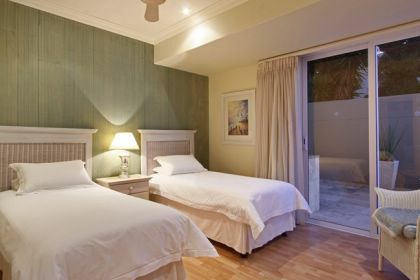 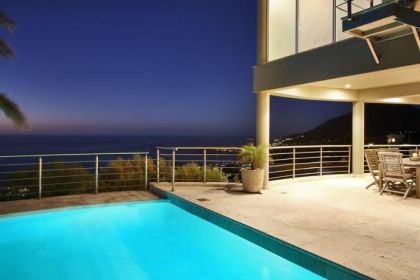 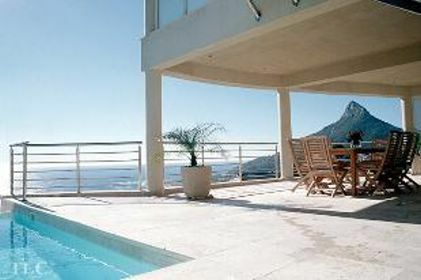 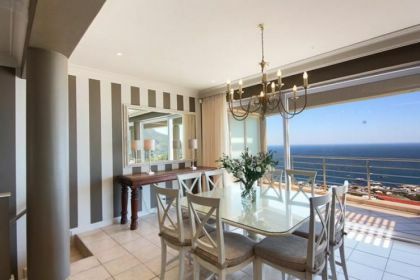 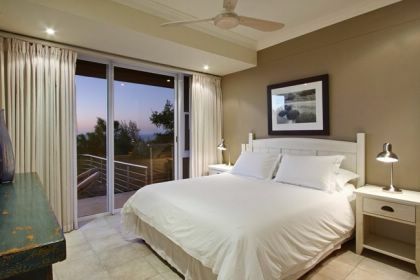 All living areas and bedrooms have balconies with spectacular views of the Atlantic Ocean and Lions Head. 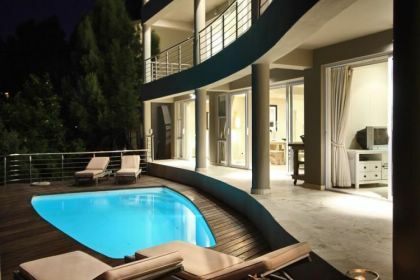 The villa is split down the middle, so it can also be rented as a 4 or 5 bedroom villa. 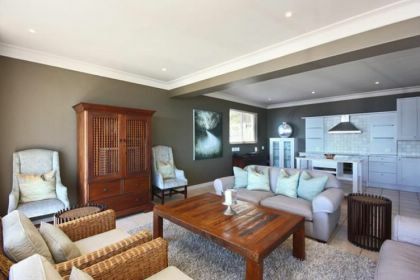 The beautiful dramatic entrance leads to both living areas, each with own kitchen and 8 seater dining table, perfect for entertaining friends. 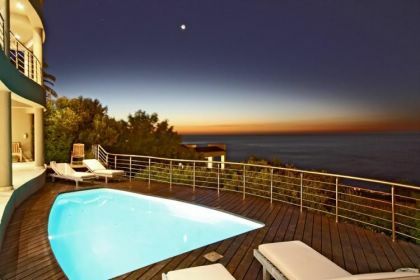 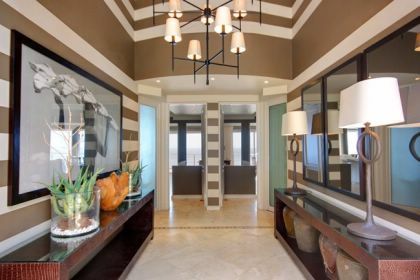 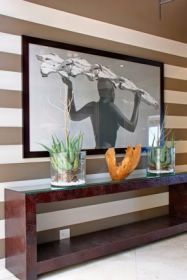 Whether you want to entertain or want privacy this villa has a wonderful feeling of space and tranquility. 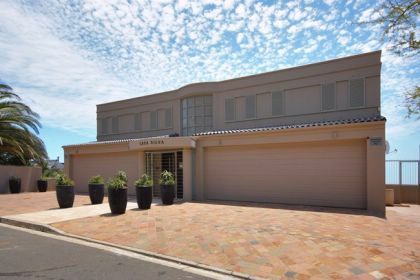 Unit A : from foyer enter open plan living area with lounge dining and kitchen and guest toilet. 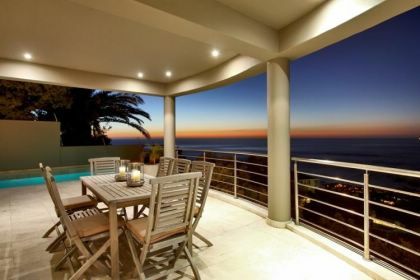 The area leads onto a big balcony facing ocean. 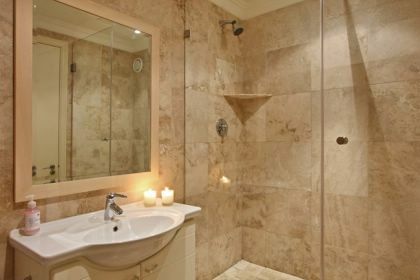 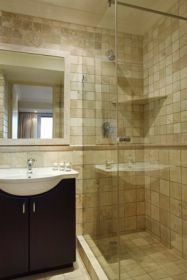 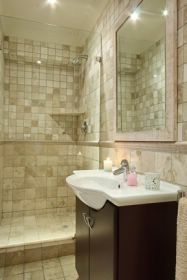 The lower level has 3 bedrooms (1 en suite) the other 2 share a bathroom. 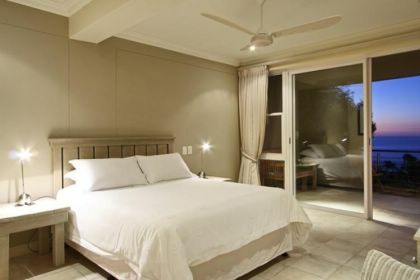 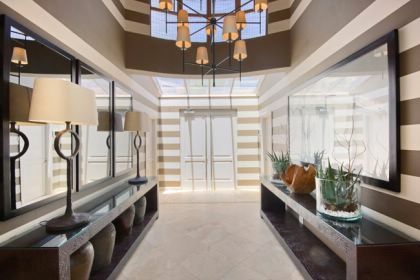 The rooms lead onto a big covered patio with private pool sea facing. 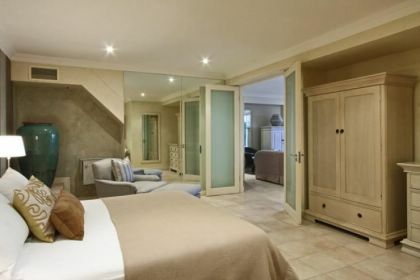 Laundry facilities on this level. 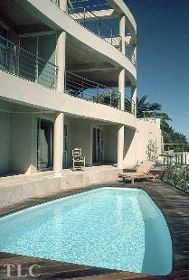 The level below: studio A: 1 bedroom en suite with lounge and kitchen leads onto garden and another pool. 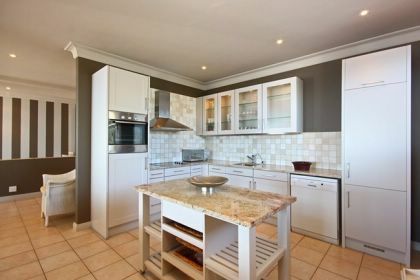 Unit B: from foyer enter open plan living area with lounge, dining, kitchen and guest toilet. 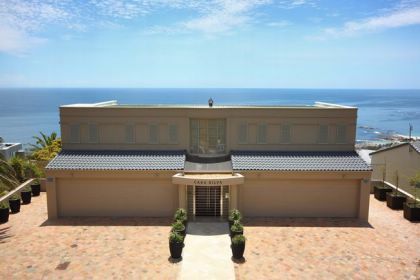 The area leads out onto a balcony facing ocean. 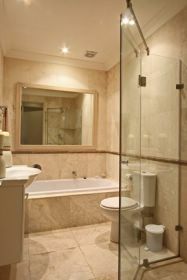 The lower level has 3 bedrooms (1 en suite) the other 2 share a bathroom. 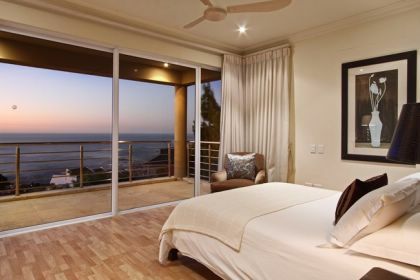 The rooms all have balconies with sea facing views. 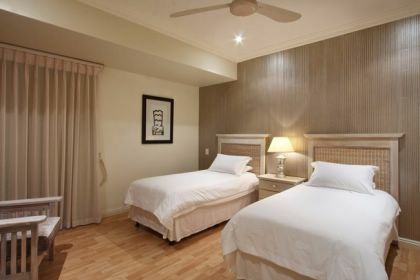 Laundry facilities on this level. 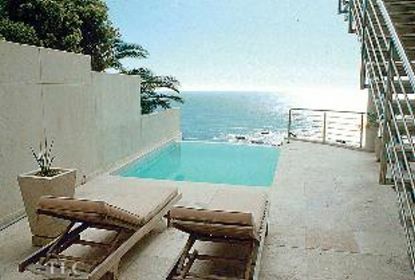 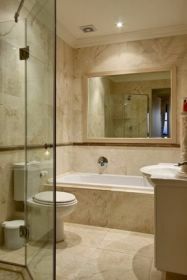 The level below: studio B: 2 bedrooms both en suite with lounge and kitchen leading out onto pool.